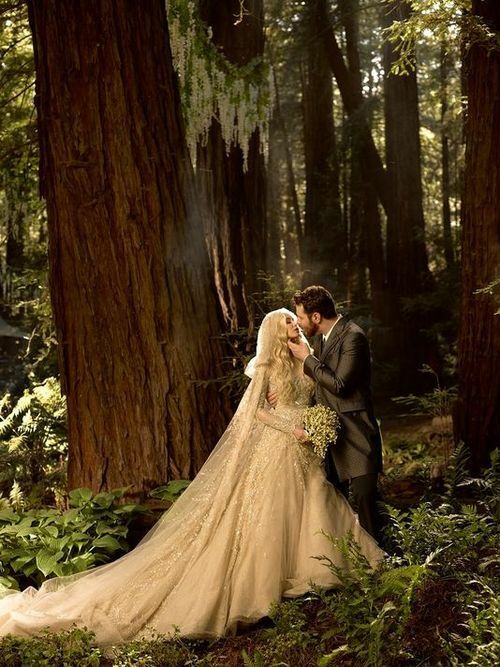 Even though this is not a Puerto Rico wedding I couldn’t help but share the stunning first photo of Sean Parker and Alexandra Lenas wedding from this past weekend. They tied the knot in front of 300 family and friends Saturday at The Ventana Inn in Big Sur, Calif. The bride wore a stunning Elie Saab gown and the groom’s attire was selected by Academy Award-winning costume designer Ngila Dickson. Parker is the co-founder of Napster and founding president of Facebook, and Lenas is a New York-based singer and songwriter. The wedding which took inspiration from the hit TV Show “Game of Thrones” took a team of landscapers and builders weeks to set up. Including creating backdrops that included ponds, a gated cottage and a $600,000 stone gate. The bill for flowers and plants alone is reportedly up to $1 million. Rumor has it the wedding cost a reported $9 million.